In Japan, the Nikkei rallied to trade atop of its two-month high overnight on optimism that Sino-U.S trade talks may be nearing a deal to end their trade dispute. The index surged +1.3%, the highest closing level since Dec. 17. 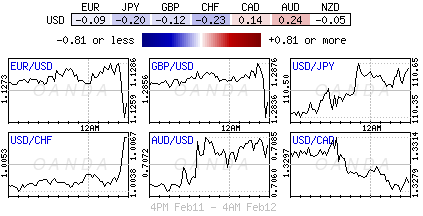 The broader Topix gained +1.1%. Down-under, Aussie shares fell overnight, dragged lower by drug maker CSL after posting a disappointing H1 profit rise. The S&P/ASX 200 index fell -0.3% at the close of trade. The benchmark had rallied +0.3% yesterday. In S. Korea, stocks moved to session highs amid broader strength in Asian equities as the Kospi moved back towards its 2019 high. The benchmark rose +0.5% as memory-chip makers Samsung Electronics climbed more than +2%, which helped to offset the -1%-plus declines in construction stocks and investment banks. In China and Hong Kong, stocks rally after President Trump hinted at a Sino-U.S trade truce extension. The Shanghai Composite index closed +1.8% higher, a level not seen since October, while the blue-chip CSI300 index rose +2% to its highest point since late September. In Hong Kong, stocks hit their highest close in six-months. The Hang Seng index ended +1.2% firmer, while the Hang Seng China Enterprises index closed +1.4% higher. Indices: Stoxx600 +0.28% at 363.78, FTSE +0.44% at 7,167.06, DAX +0.10% at 11,137.19, CAC-40 +0.23% at 5,067.98, IBEX-35 -0.06% at 8,978.00, FTSE MIB +0.62% at 19,928.50, SMI +0.15% at 9,134.50, S&P 500 Futures +0.12%. 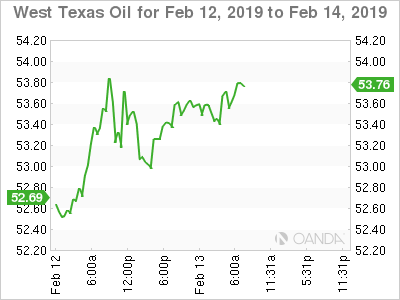 Brent crude futures have rallied +88c to +$63.30 a barrel, while U.S crude oil futures gained +66c to trade at +$53.76 a barrel. 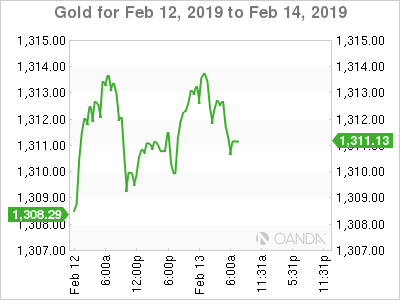 Ahead of the U.S open, gold prices have inched a tad higher, supported by a weaker buck on hopes of a deal between the U.S and China, but improved investor risk appetite is capping investors gains. Spot gold is up +0.1% to +$1,312.36 per ounce, while U.S gold futures have gained +0.1% to +$1,315.3 an ounce. EUR/USD (€1.1318) is little changed but holding above the psychological €1.13 level for now. Investor focus is now turning to Germany’s GDP data due out on tomorrow. How bad are things in Europe’s largest economy? 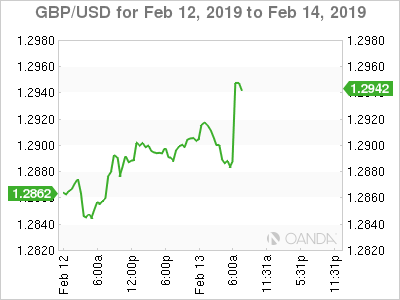 GBP/USD (£1.2881) is a tad lower after U.K Jan CPI slowed more than expected, but moved back below BoE’s inflation target for the first time in 24-months (see below). 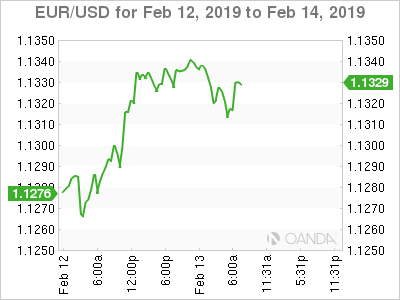 EUR/SEK (€10.4203 -0.53%) cross has moved lower after the Sweden’s Riksbank kept its policy steady and maintained its forward guidance for the next potential rate hike in the H2 part of 2019. NZD/USD is firmer by +1.25% at NZ$0.6820 as the central bank pushed out its forecast for an interest-rate increase to early 2021, thereby paring investors’ dovish’ positions, who were looking for signs of a policy easing later this year.